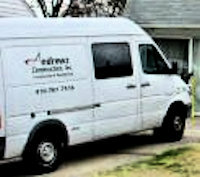 Andrews Construction Co., Inc. has built a reputation in Maryland with a hands on approach to our construction projects. We enjoy taking your ideas from start to reality. We use highly qualified subcontractors as in-house crews to make your construction/remodeling time one that is efficient and a pleasurable experience to the property owner. We bulid as if it is our own home! We welcome each new project as an opportunity to develop a relationship with the homeowner. The best way we find to do this is simply for us to meet and exceed your expectations of construction.